At 1369 sq. 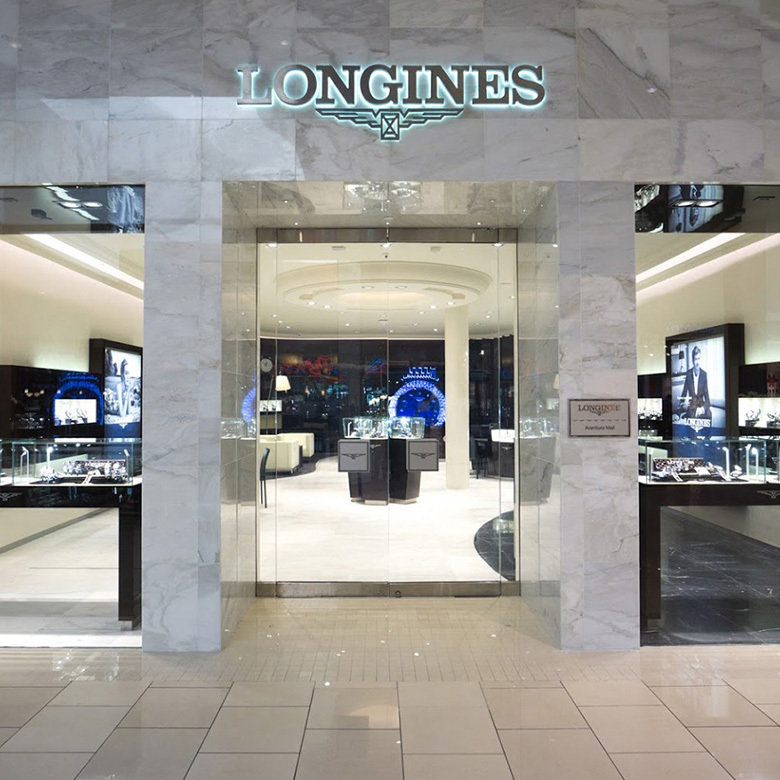 ft. of shopping space, the Longines Boutique in Aventura Mall offers more than 300 different timepieces, in addition to expert service from a highly trained staff. With many years of experience as a timekeeper for world championships in sport or as a the official watch of many events including the Kentucky Derby, Longines is a member of the Swatch Group Ltd, the world’s leading manufacturer of horological products. The brand known by its winged hourglass logo has outlets in over 140 countries, including the United States. Visit the Longines Boutique in Aventura Mall, located on the upper level between Macy’s and Nordstrom.